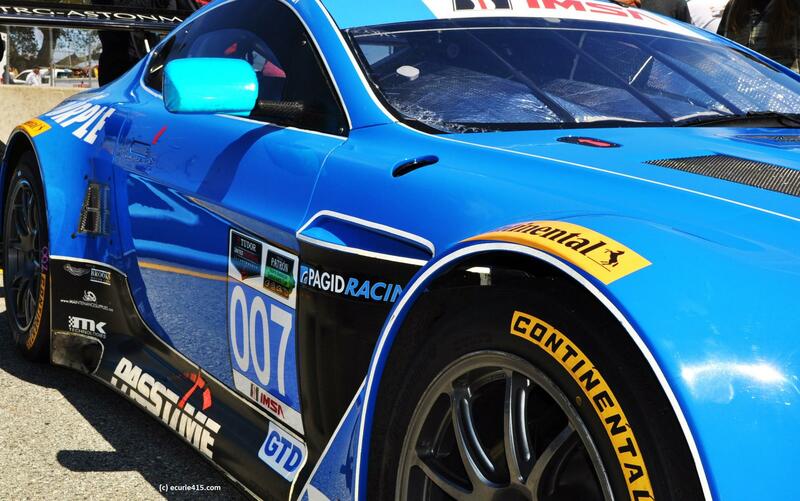 For the last few years, the prototype ranks have thinned out at the top level of North American sports car racing. 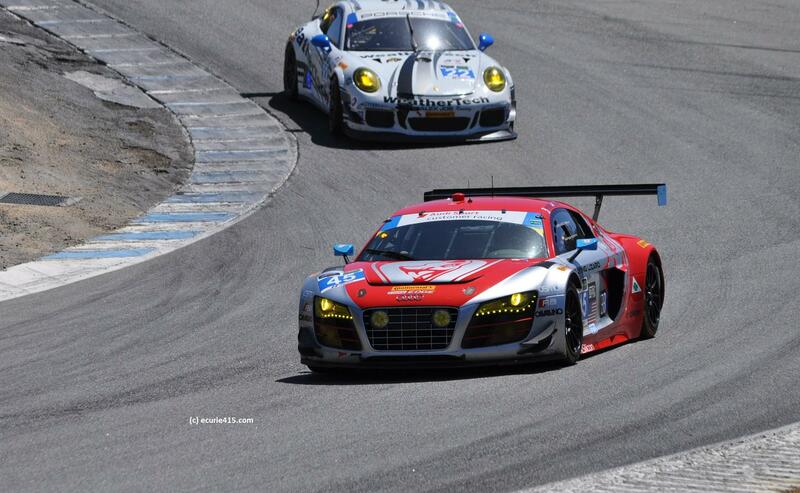 When Audi departed the scene, the ALMS was left with a handful of P2 prototypes led by Mazda and Porsche. The merger of the ALMS and the Grand-Am Series ensured that Daytona Prototypes would become the top predator, with P2 loyalists soldiering on at Mazda and, now, Honda. Enter Mike Shank and his French-built Ligier JS1 P2. 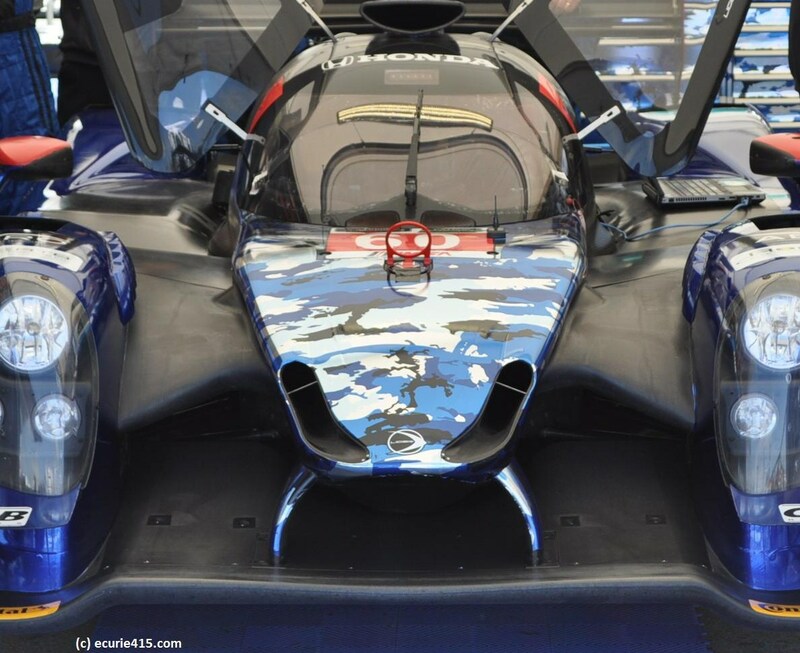 The Ligier is a handsome P2 prototype, designed by French engineers and powered by Honda. 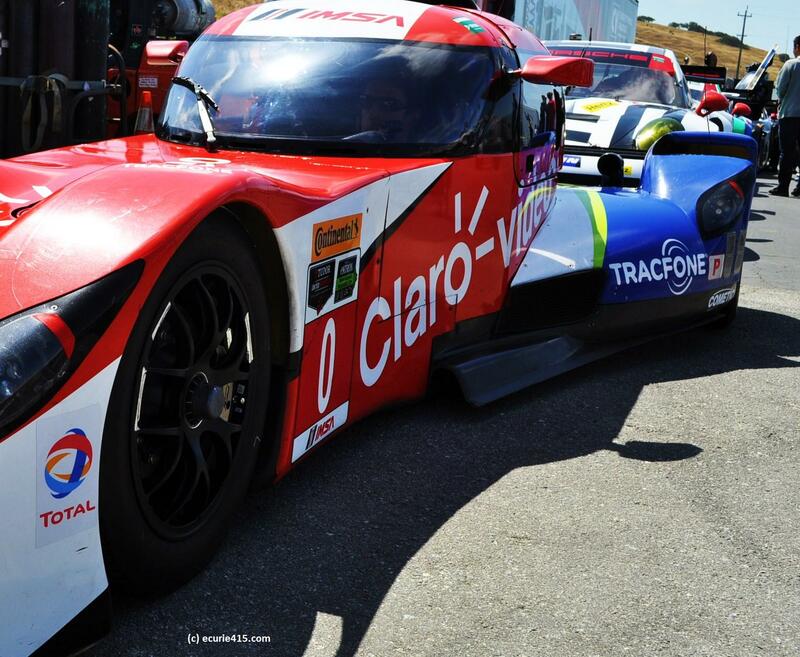 With so few entrants running innovative designs in IMSA, it’s reassuring to see a new prototype racing in North America. 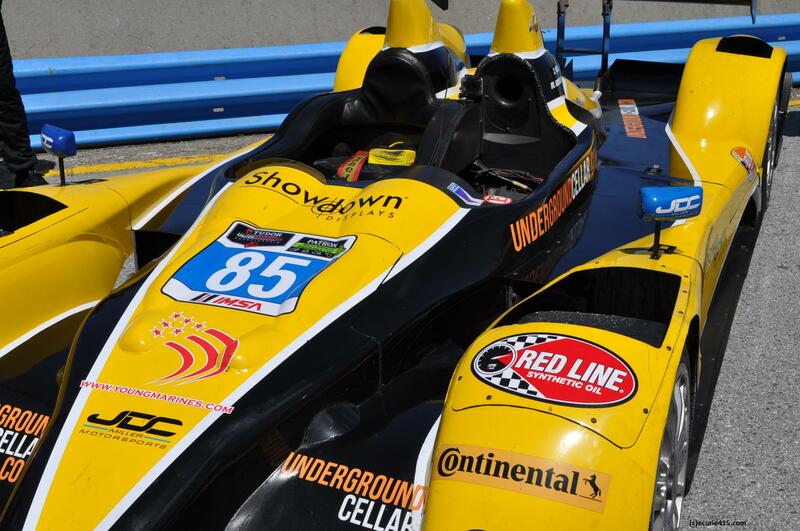 Michael Shank Racing has made the leap, but other than the Delta Wing and Mazda, most TUSC teams are waiting out any further investments until the new design rules are announced for 2017. One thing that is almost certain is that the ACO will authorize four builders to construct all of the P2 chassis, wtih a single engine supplier. 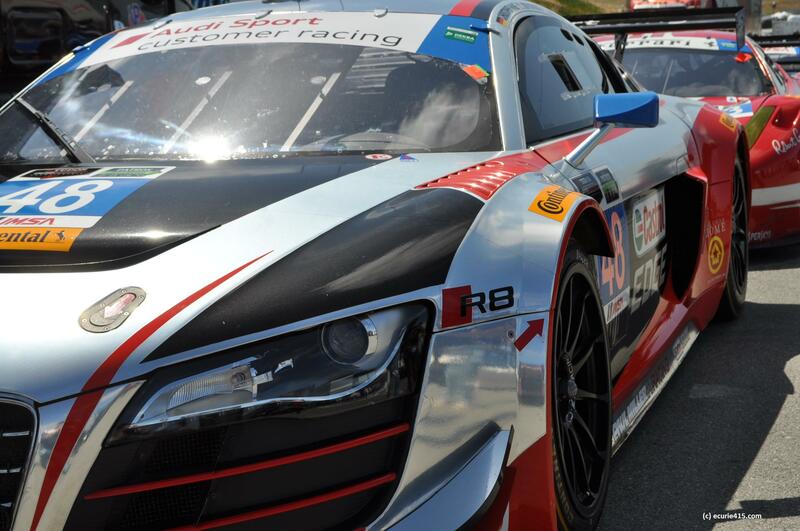 IMSA may receive an exception to allow for other P2 designs, but credit Shank for continuing to push. 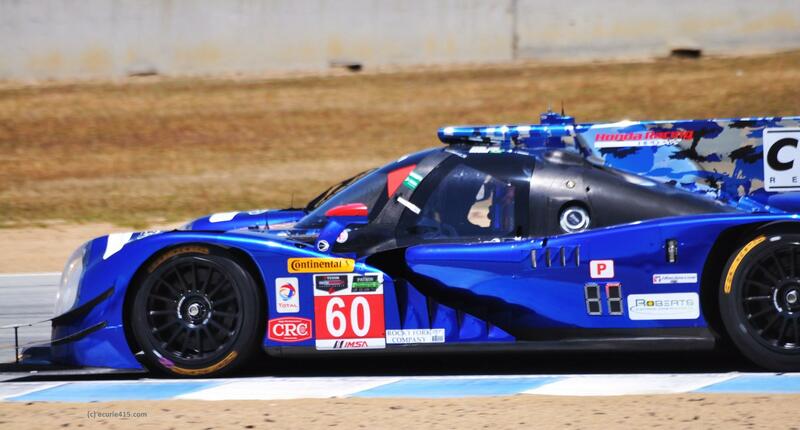 The alternative to the Ligier is the venerable Daytona Prototype. 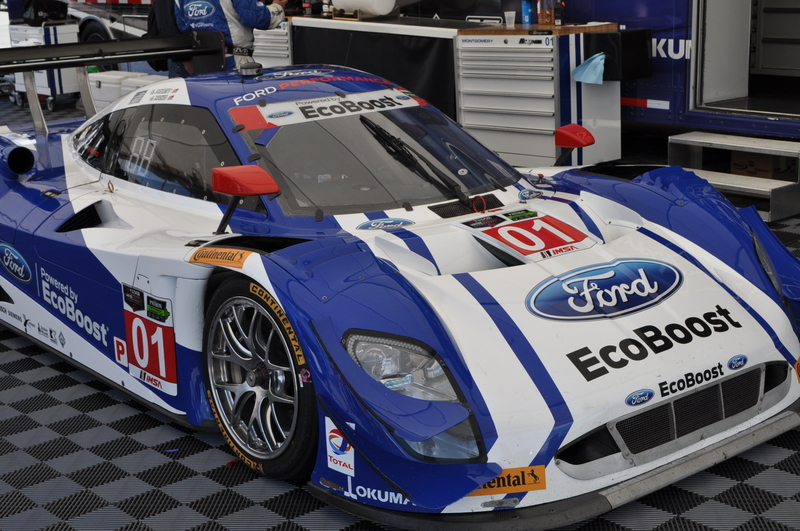 Chip Ganassi Racing is now supported by Ford rather than its traditional Target livery. 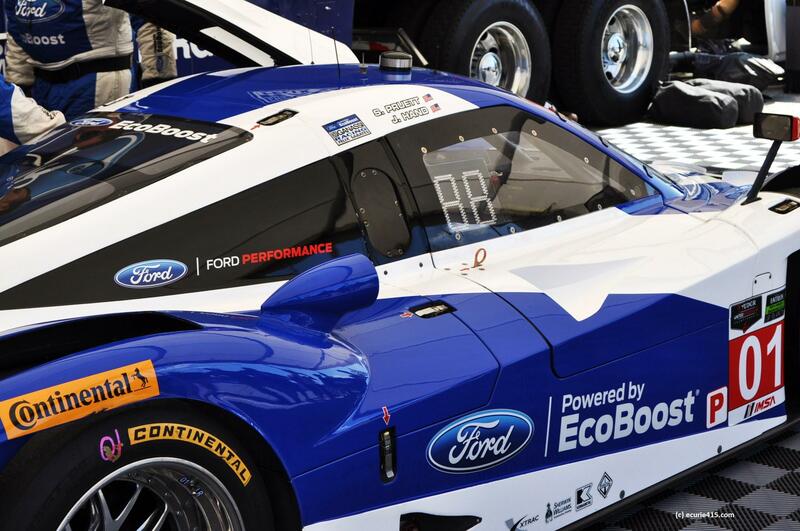 Ford has struggled for results this season compared with the Corvette juggernaut. 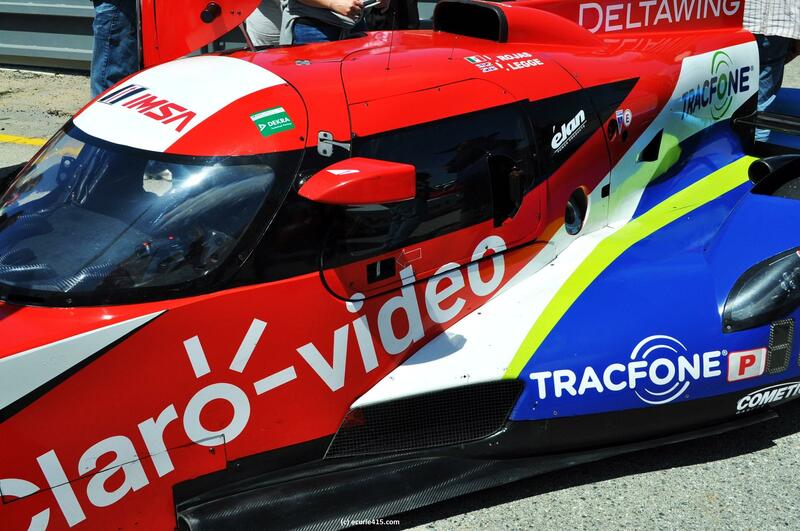 I had a chance to speak to Don Panoz after the Delta Wing retired with an exhaust system failure. The car is innovative and has grown on me over the last few years. The problem for the car is that it is like no other car in its class, making comparisons nearly worthless. 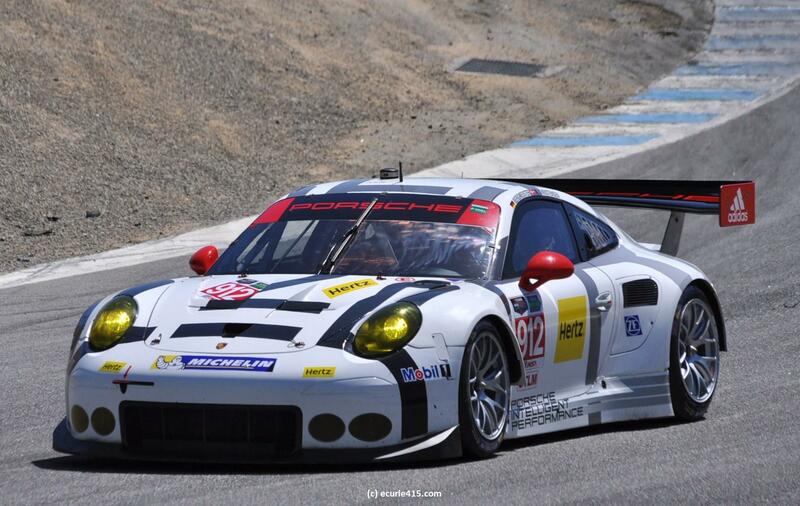 In GTLM, the privateers have all but disappeared. 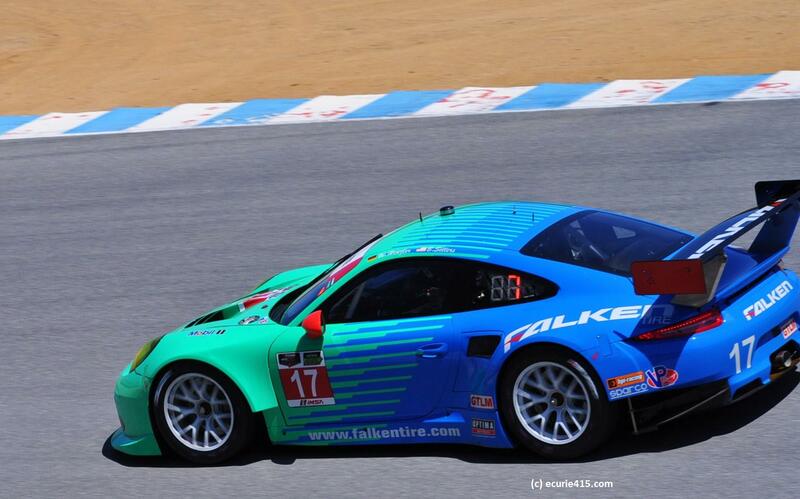 Falken’s program is not a factory program but remains competitive against manufacturer support from BMW, Porsche and Chevrolet. Prototype Challenge cars remain an affordable option for prototype racing, as well as a great training ground for young drivers. 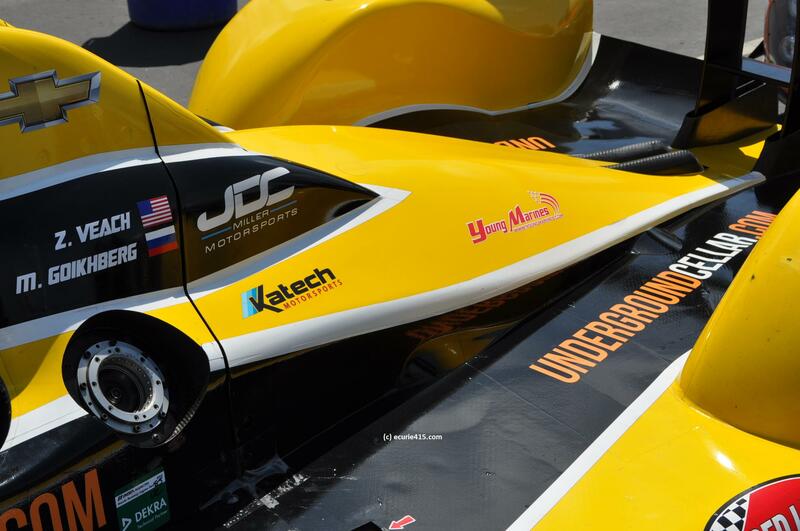 Zach Veach, an up and coming open wheel racer, stepped into a JDC Miller Motorsports Oreca FLM09 for the first time at Mazda Raceway, and finished fourth. 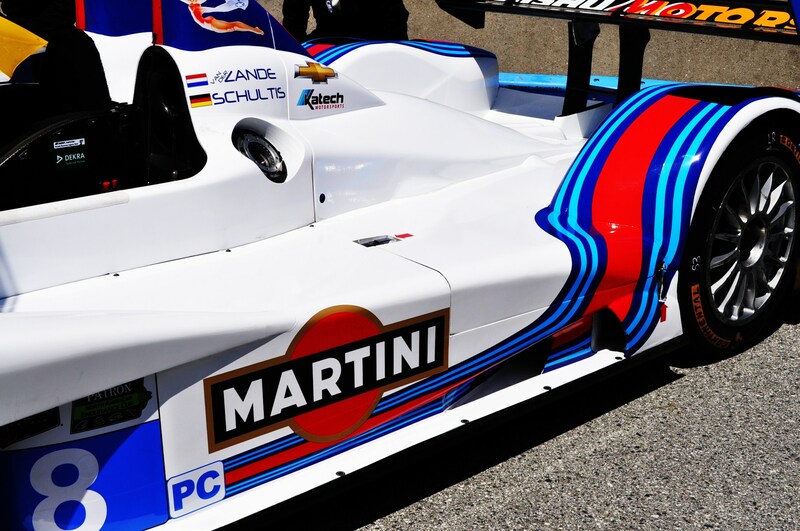 The Martini livery never disappoints. 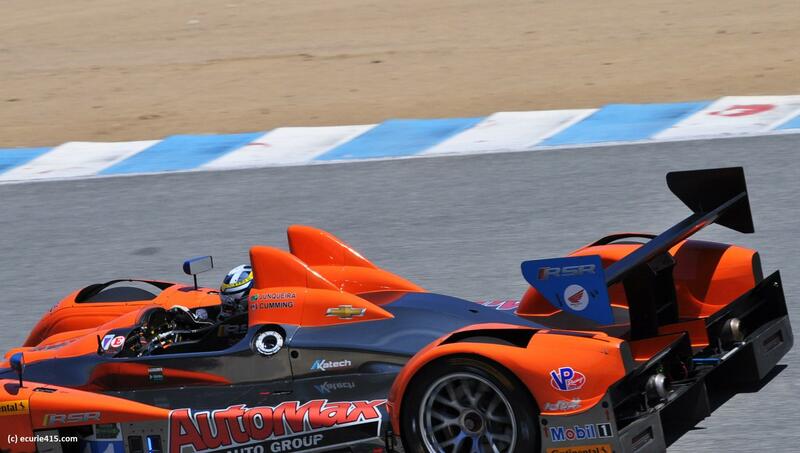 PC class winner Bruno Junqueira knows Mazda Raceway from his days as an open wheel driver. 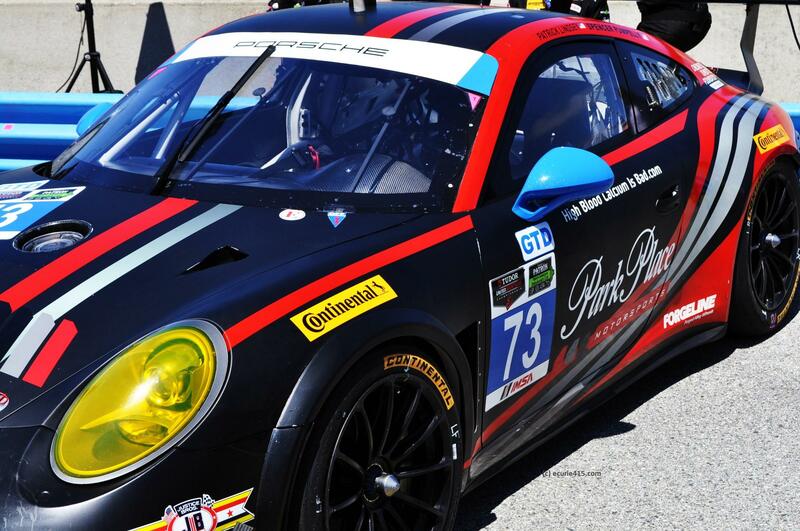 Count on Porsche to be at the front: Park Place Motorsports’ Porsche 911 GT America took top honors in the GTD class. 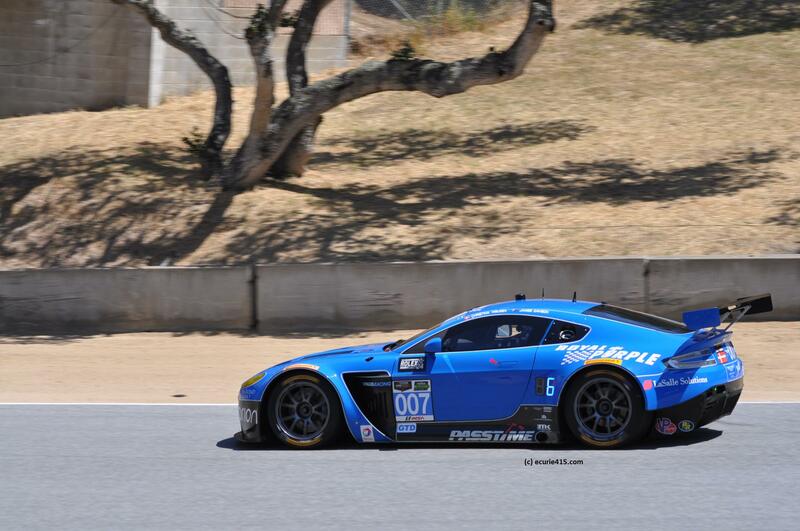 An Aston Martin in blue? 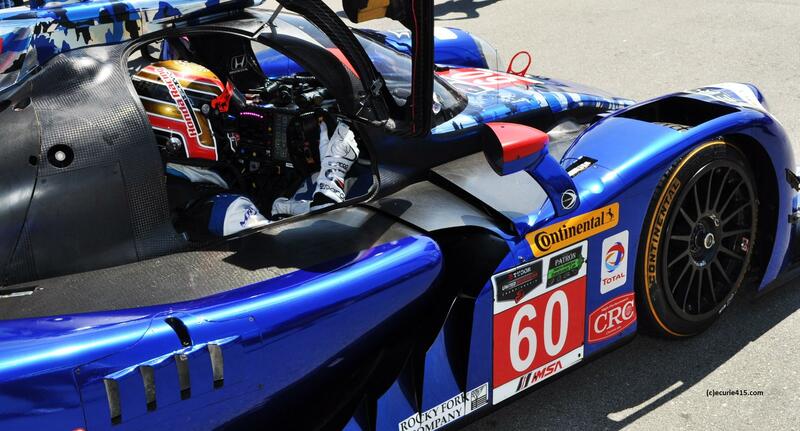 In the hands of Christina Nielson and James Davison, the car finished fifth. 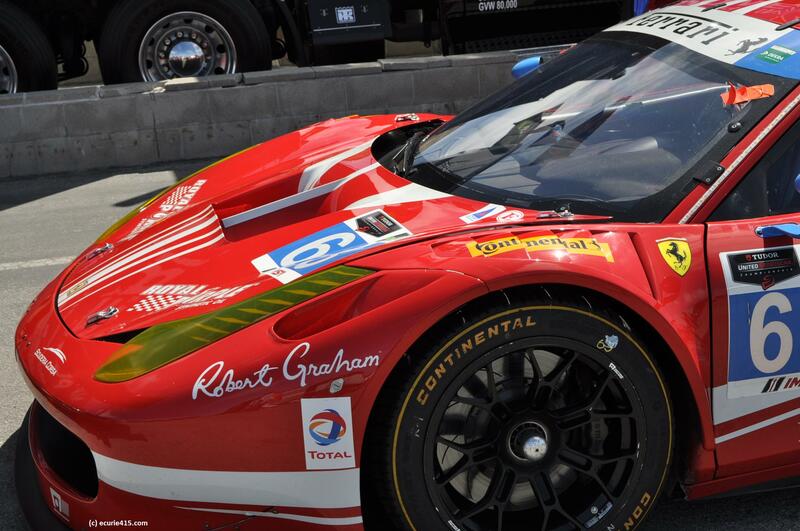 Some very obvious differences between Risi Competizione’s GTLM-spec Ferrari F458 Italia, and the GTD version below. 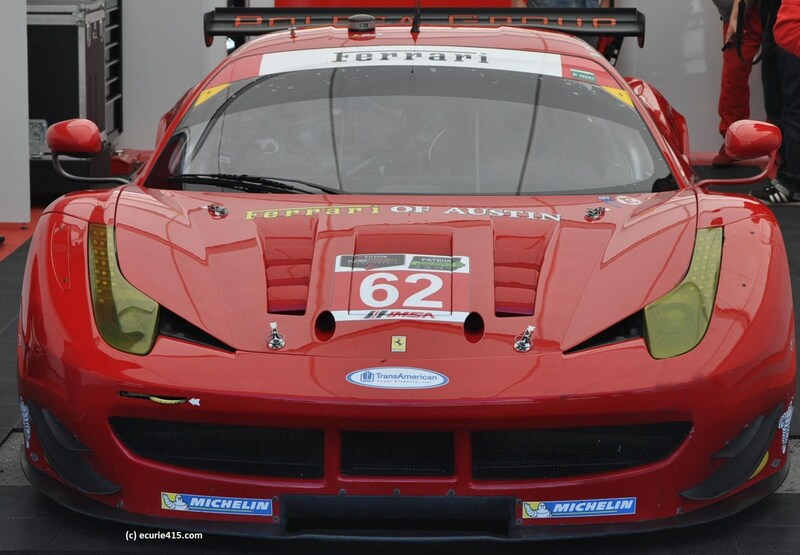 Now compare Risi’s car with the Scuderia Corsa Ferrari 458 GTD , as raced by Bill Sweedler and Townsend Bell. Similar, but not the same. 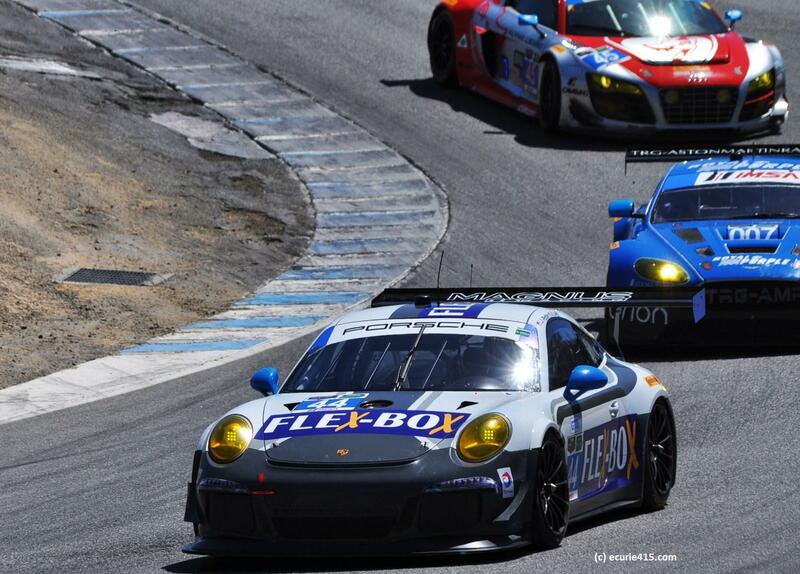 GTD is the last truly competitive category for privateer racers. 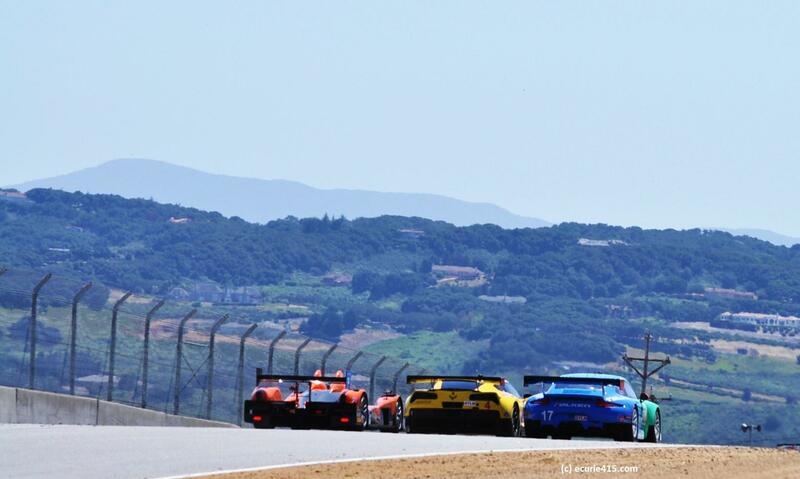 With a decent selection of cars to choose from, and an affordable technical package, GTD racing was tight at Mazda Raceway.